Gone are the days when your competition graciously affords you a mile of missteps. Getting the right technical infrastructure in your organization is nothing short of critical. 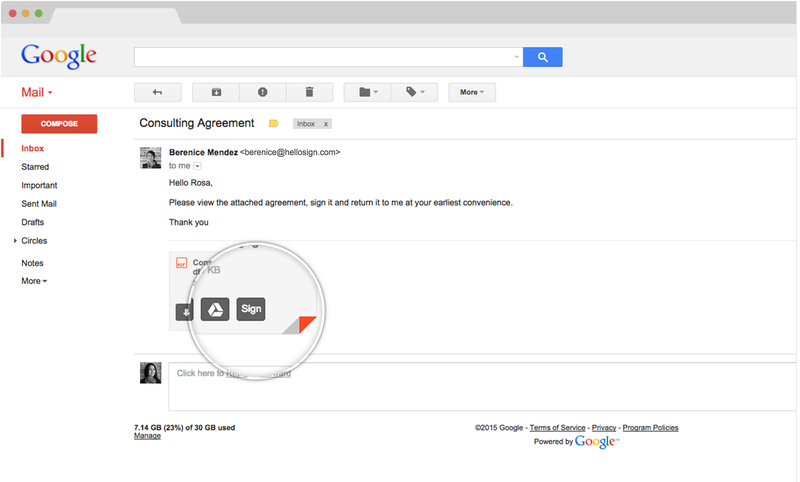 As a start, it's probably a good time to look at eSignature solutions like HelloSign. A few weeks ago, we discussed the undeniable business benefits of a powerful eSignature platform. More recently, we dug into several specific implementations from companies in a variety of verticals, illustrating how simple yet impactful the elegant integration of such a platform can be—from avoiding employee attrition and optimizing operations, all the way to increasing top-line sales and enabling exceptional user experience. So the question is not, if you should explore your options, but which of the options deserve your attention? Enter: HelloSign, recently ranked by G2 Crowd the #1 eSignture solution for SMBs and Mid-Market companies, not to mention the overall best software solution for mid-market companies. If you haven’t spent time investigating the wonderful world of eSignatures, this is a good place to start. The platform allows you to replicate and customize any workflow with any number of participants. There is also a thorough set of user management options that allow administrators to easily define all team settings, team members, roles and permissions. Atop of all that activity is a suite of notifications to ensure that all relevant parties are alerted at all critical moments. Wrong answers are always annoying, but the nuisance hits an all-time high when it comes to contracts and agreements. HelloSign makes sure that flubbing fields becomes a figment of your imagination. With their data validation functionality, there are no more numbers where letters should be, no more missing digits in account numbers, and no more tedious back and forth to finalize things in the face of entirely avoidable accidents. With a robust software solution also comes rigorous reporting; perhaps more importantly, automated rigorous reporting. By default, each document comes equipped with its own activity log, keeping permanent and precise record of everything, including party names, IP addresses, email address, and timestamps. You do not need to worry about the safety of your documents; with HelloSign, they are in good hands. Well, servers, but you get the idea. All files and communications throughout the platform are encrypted; the platform and all its stored data is hosted in a SAS70 Type II, SSAE 16 facility with ISO 27001 certification; and all data is replicated in multiple data centres with an overall ‘nine 9s’ system uptime. Where the platform truly starts to shine, however, is in its broad array of integration infrastructure. What does your organization, or the collection of parties with whom your organization does business, like to use to manage its important documents and agreements? Google Drive? Google Docs? Dropbox? Salesforce? HubSpot CRM? Does your team just love getting notifications in Slack? Are you hosting all kinds of events through Eventbrite? HelloSign doesn’t force you into an exclusive experience that requires forfeiting people’s favorite brands. Quite the opposite, in fact; the platform offers integration to all the aforementioned brands and more. Just because you’re introducing a new system into your workflows doesn’t mean you have to introduce a new user experience. This reality starts with your ability to customize all signer-facing interfaces to match your brand guidelines and aesthetic expectations, and allow for doc execution right on your site (Embedded Signatures option). Branding options go from basic color updates and extend to custom page elements (headers, link colors, button colors, etc.) and logos. 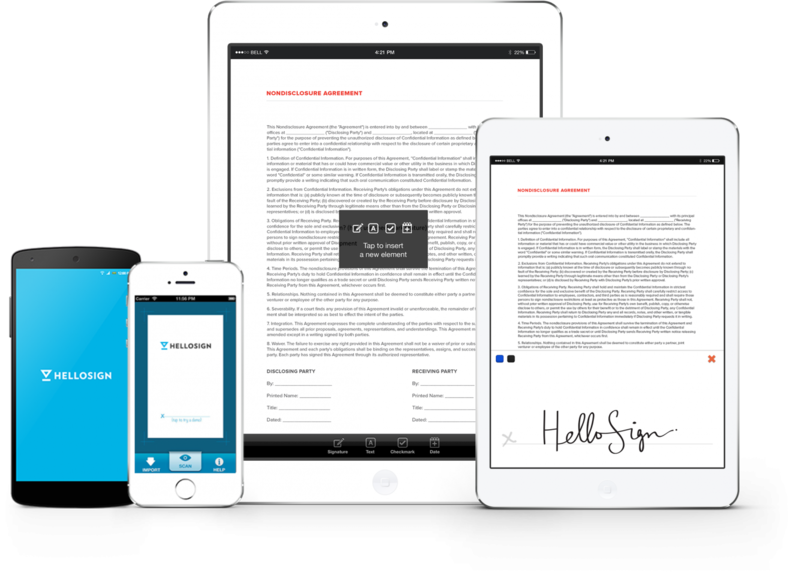 Whether enhancing internal interfaces or market-facing product modules, the HelloSign platform enables a seamless way to sign any document. With data validation you can save a ton of headaches. Similarly, with prepopulation, you can save a ton of time. 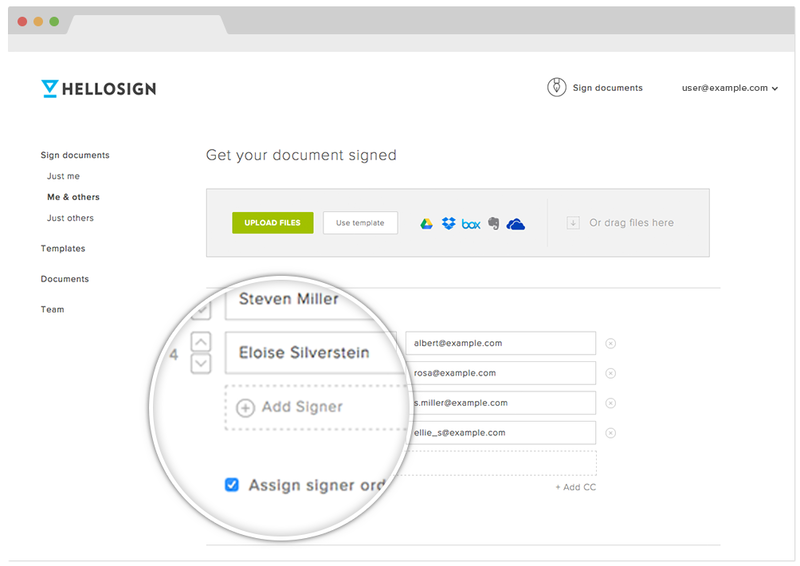 HelloSign allows you to set up document pages that pull data in from your own internal systems of record. If you’ve already got someone’s information, there’s no need to ask them for it again; it’ll already be included in the agreement for them to simply confirm, and then move on to the more important items, like, you know, signing stuff. The real feather in their cap, and what supports much of the customization we just covered, is a flexible, developer-friendly API. Incorporating the word, “programming” into the conversation may make it sound like an ordeal but only very minimal development resources are required for integration—large companies have revamped complex signature processes with one engineer and less than two days of effort. Once the API is in your hands (along with its Comet-clean documentation), and a few fingers are on your keyboards, there’s isn’t a lot you can’t do. 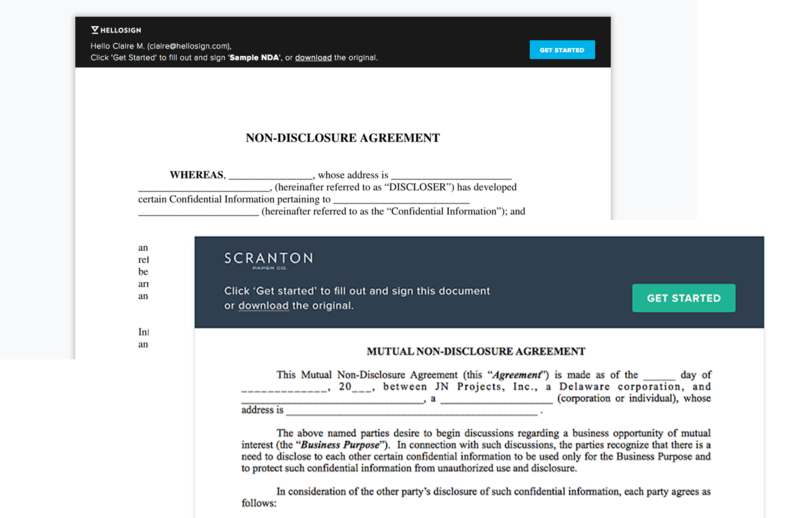 Take a top-of-the-line eSignatures platform and place it right within your own web-enabled systems, or even into your own product to pass along to paying clients. Packages start at only $99/month, there is a “Test Mode” available if you want to kick the tires before hitting the gas, and once you’re up and running, you have access to as many API calls as you need. This article has been sponsored by HelloSign. Thank you for supporting the partners that support SnapMunk. Being able to collect a signature through a website is perfect for what I need. I am glad that I found this post! I really like the features that you are talking about here. Reading through some of the other posts that you have up, I was still not sure it was a system for me. The remote signing feature is something that would be totally awesome! I can think of many uses for that feature alone! There is so much paper waste in the office world these days. It looks like this company has a handle on how to manage that for people. Great work! Security is a huge thing for ANY product that is electronic. As long as the company can stand behind that and keep building these types of features, it will do well. ‘nine 9s’ system uptime? Impressive. HelloSign and Erlang. And here I was thinking HelloSign was somehow reliant on Amazon Web Services.